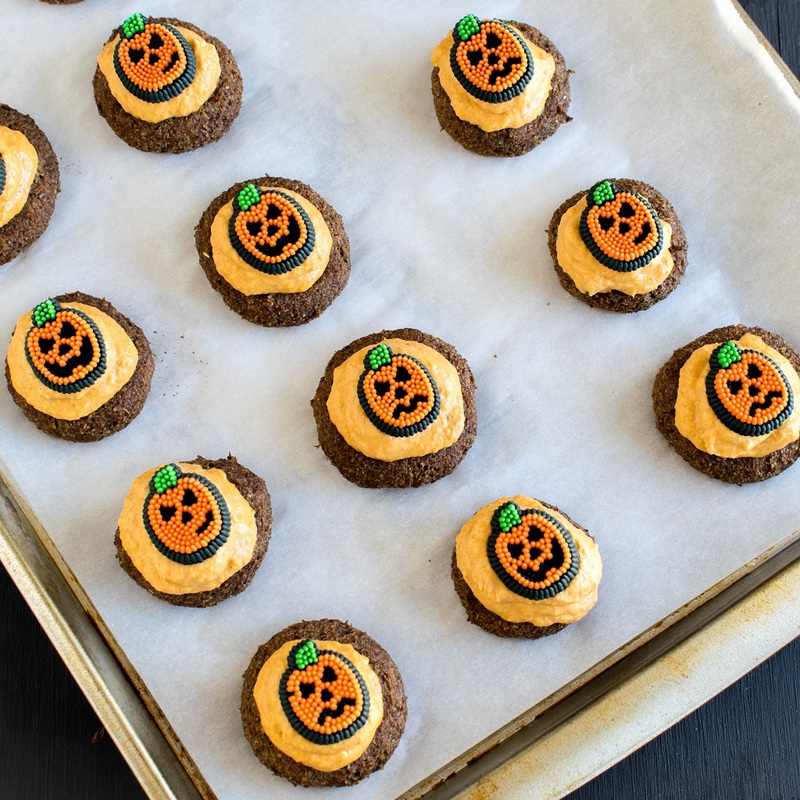 Frosted Pumpkin Cheesecake Coffee Flax Cookies is not only a lip smacking Halloween treat but is the cutest ever. I have made Halloween dessert earlier but I think this is the cutest and the most innovative one so far. 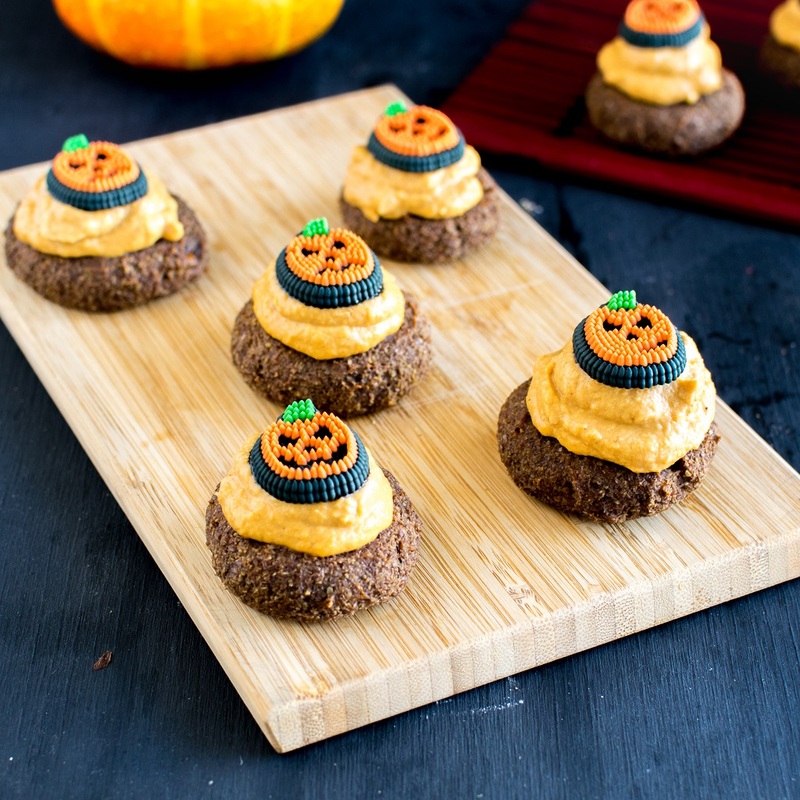 I am totally in love with these cute Halloween cookies and it’s on my dessert menu for the scariest day! HAHAHHA!!!!! 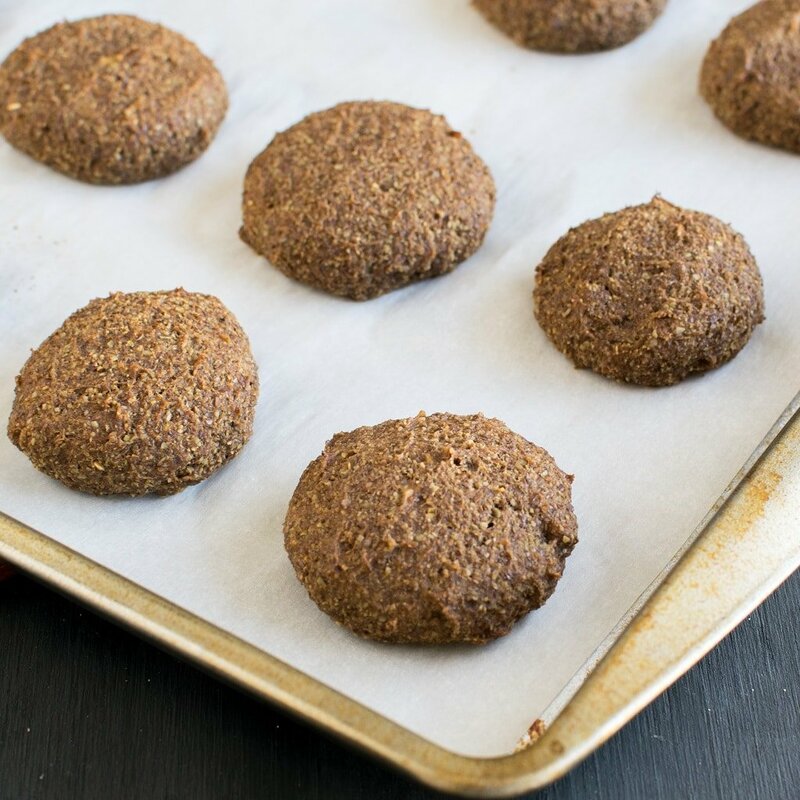 These vegan cookies are soft and chewy with a variety of flavors infused in just one bite. The creamy pumpkin cheesecake frosting is outstanding and to die for. When I whipped it up I was zapped with its delicious aroma. I couldn’t stop myself from it licking it while trying to focus on decorating these nutritious and mouthwatering cookies. First, I whipped up the pumpkin puree along with my favorite vegan cream cheese (toffuti). Thereafter, I flavored with little sugar and pumpkin pie spice. Doesn’t that sound absolutely attractive?? 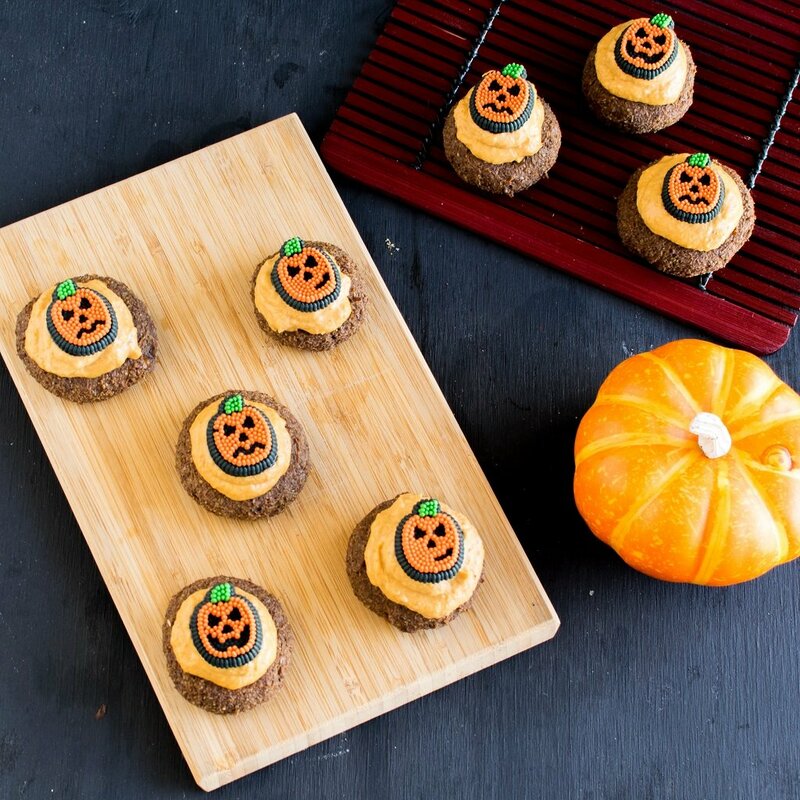 Well, when this idea came to my mind I had no idea that vegan cream cheese and pumpkin puree could blend so well into such a delicious treat. Finally, when it was time to frost the cookies I fell short of the frosting. For the cookies, I simply combined flax meal, almond flour, baking powder and salt. Thereafter, I added mashed bananas, diluted instant coffee, vanilla extract and little oil. Afterwards, I mixed up the batter with a spoon and then placed the flat round shaped cookies on the baking sheet. Lastly, I baked the cookies in a preheated oven for 25 minutes. Sounds easy ….right? Indeed it the easiest dessert. These Frosted Pumpkin Cheesecake Coffee Flax Cookies are simple to bake and delectable on taste buds. 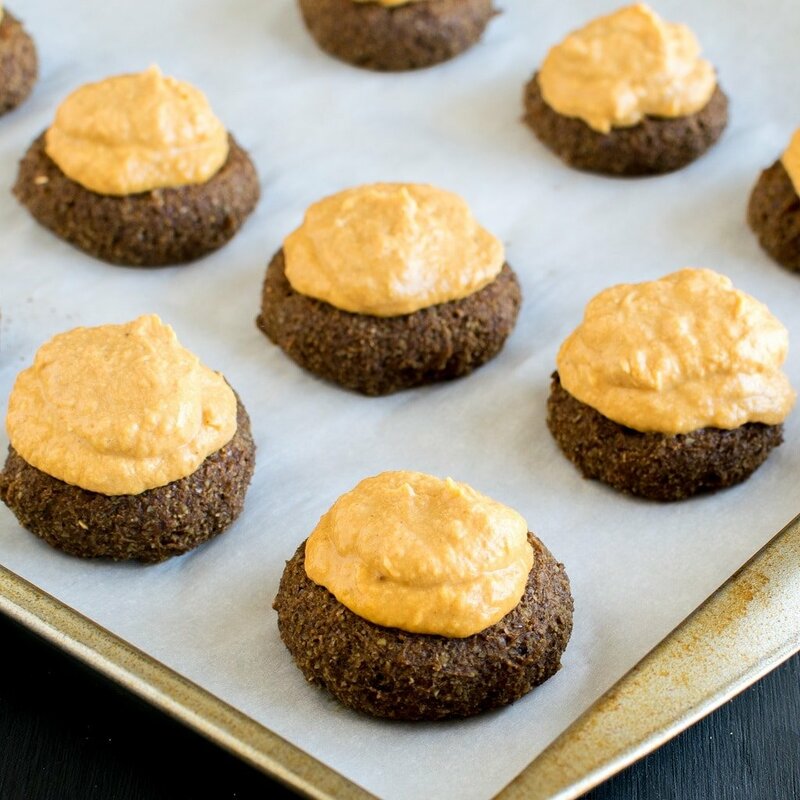 These cookies are loaded with omega 3 fatty acid and are packed with protein and other vitamins and minerals. These cookies are guilt free indulgence. Coming back to the recipe, just before serving top the cookies with the frosting and decorate with your choice of icing decoration. These cookies taste best when consumed the same day. However, they stay good for couple of days at the room temperature. ¼ tsp pumpkin pie spice mix. In a mixing bowl combine all the ingredients of the frosting and whip it very well. Keep it in the refrigerator until ready to use. In a small bowl dissolve coffee powder in water and keep it aside. Preheat oven at 400 degree Fahrenheit and prepare a cookie sheet with parchment paper. In a large mixing bowl combine ground flax meal, almond flour, baking powder and salt. Mix well with a spoon until no lumps are left. Now fold in dissolved coffee, mashed bananas, vanilla extract and olive oil into the flax mixture. Mix it very well. (I prefer to mix it with hands for even mixing). Now divide the cookie dough into 14 equal parts and place the round balls on the prepared cookie sheet. Gently press each ball in the middle with the fingers to flatten a bit. Place the cookie sheet in the middle rack of the oven and bake for 25 minutes. Take out the sheet and let the cookies cool completely. Now, generously top the cookies with the pumpkin cheesecake frosting. Enjoy them as is or decorate with your choice of icing for Halloween. These cookies tastes best when consumed the same day. However, they stay good for couple of days at the room temperature. What fun and festive Halloween cookies! I love finding unique recipe gems like this. They look quick and easy to make. Thanks for sharing your kitchen creativity! Thank you Denay. Hope you enjoy them as much as we did. These look delicious! And they are super cute too! I love that I will be able to eat these even though I am lactose intolerant. Thanks for sharing! These cookies are vegan so absolutely friendly for lactose free diet. Hope you enjoy them as much as we did. These look so fun! I can’t wait to try them with the kids! These are genuinely fun. My daughter loved helping me out with these cute Halloween treat. I am always looking for more ways to get flax in my diet and these are perfect! That frosting also looks so creamy! I can’t wait to make these! Thank you Kiley. Let me know how it turned out for you. Oh my gosh, YUM! I will take some right now, please! These turned out so cute and I love all the healthy ingredients! I have never used vegan Tofutti cream cheese before. I made your recipe and also fell in love with the frosting. LORD!